Join the Cadillac to Katahdin - 2017 Maine Sea to Summit Virtual Race Edition! This race ended 07/19/18 - check out the final activity below. #126 runner. Finished in 126th place. Walk from work along Fort Point channel in Beantown. Glorious early eve. #24 ultramarathoner. #68 runner. 8th Longest personal run of this race this month. Last day on Daytona Beach....Love walking on the beach!! #64 ultramarathoner. #120 runner. Extends streak to 6 days. 3rd Longest personal run. Ran 26.2 miles (+0.5 miles) in 16 days a PR. Way to conclude the Cadillac to Katahdin Virtual Run - with a marathon-length decal! Congratulations! #4 ultramarathoner. #22 runner. 10th Longest personal run of this race this month. Longest personal streak grows to 208 days at 5.24 miles/day. Kind of like Groundhog Day - here we go again! Thanks for being part of this - and the next! - virtual race! @AOMM Thank you so match for organizing these, so much fun! #2 ultramarathoner. #93 runner. 10th Longest personal run of this race this month. Great brook farm state park, Carlisle , MA. Congratulations on everyone doing this race. It was fun and hope to see everyone on the next adventure! #21 ultramarathoner. #19 runner. 9th Longest personal run. @4000footer It is a good park. I even saw a deer there. Looking forward to seeing you on the next virtual race! Did you stop by the ice cream place at the farm? Like the idea that @JohnT has, of running for ice cream. @AOMM I did not get an ice cream from there :(. They do have some great ice cream though. MDI YMCA to Shore Path to Bar Island then around town and back to the Y run! #13 ultramarathoner. #38 runner. Longest personal streak grows to 311 days at 3.31 miles/day. Love low-tide walk/run to Bar Island! #9 ultramarathoner. #41 runner. 6th Longest personal run of this race this month. 2nd Longest personal streak grows to 10 days at 7.68 miles/day. #126 runner. 5th Longest personal streak grows to 5 days at 3.53 miles/day. 3rd Longest personal run. If you log at least another 1.4 miles before midnight, you will have "climbed" Katahdin! @MainegirlinAZ - remember to log the final miles with your other half by 11:59 p.m. EST! Nice RW workout in dry, 54° predawn weather. I scared a deer that was munching roadside and not paying enough attention to its surroundings. It's been great traveling the roads with you all for all these months. Maybe we'll meet up again on the next adventure. #5 ultramarathoner. #14 runner. Extends streak to 7 days. There's no way I'll be getting up early enough to ever be ahead of you on this, or the next virtual race. Only way I would be ahead on the map is after you've lapped me and are looping again from the start. #14 ultramarathoner. #37 runner. 2nd Longest personal run of this race this month. Good to see you catch up with your mileage entries - just in the nick of time too! Hope to see you in the next virtual race that starts tomorrow! #66 ultramarathoner. #120 runner. 4th Longest personal run of this race this month. Extends streak to 5 days. Plus installed the insulation in the sub-floor of my house addition. Whoop whoop! Sophie supervised and dropped in the occasional tennis ball to be retrieved. #2 ultramarathoner. #93 runner. 4th Longest personal run of this race this month. Speedwork intervals + warmup and cool down. And this is my last post on this race! It has been wonderful to share so many miles and milestones with this awesome community! #33 ultramarathoner. #55 runner. 3rd Longest personal run of this race this month. Hope to see you on the next one - and you can post until tomorrow night at 11:59 p.m. on this one. #18 ultramarathoner. #113 runner. 7th Longest personal run of this race this month. Birthday hikes! Beehive and Gorham in the morning then Parkman and Bald Peak in the afternoon! #13 ultramarathoner. #38 runner. 2nd Longest personal run of this race this month. Longest personal streak grows to 310 days at 3.31 miles/day. @FL2ME thank you! Looking forward to when we can move up here full time!!! Wouldn't it be neat if we could all be in Acadia full time NOW! Happy Birthday! @AOMM It would be great! Thank you!! Great birthday gift to yourself! @bgizzi Made for an awesome birthday! Beautiful weather made it even better! #4 ultramarathoner. #22 runner. 8th Longest personal run of this race this month. Longest personal streak grows to 207 days at 5.24 miles/day. Before we leave this race and start the new one, @jennsjourney will be in ellsworth, traveling to Gouldsboro on the sunrise trail from 7/30-8/1. I'm going to join her. For at least part of her walk. If anyone else wants to walk along, it would be fun to meet you in real life! Jennsjourneynorth.com has her schedule. #24 ultramarathoner. #76 runner. 7th Longest personal run of this race this month. How wonderful! I will share this, and perhaps also get to "see" some of you on the new virtual race, which will include some of the East Coast Greenway and Down East Sunrise Trail. About to put the finishing touches on the new virtual race, and will be announcing the new registration shortly. @AOMM I'll be there! It's a great motivator and I really enjoy seeing where everyone runs and walks. Lots of races I want to try next year! Running with friends is sometimes so much easier than running alone! #24 ultramarathoner. #76 runner. Longest personal run of this race this month. #9 ultramarathoner. #41 runner. 2nd Longest personal streak grows to 9 days at 7.75 miles/day. And if you happen to do any miles between now and 11:59 p.m. tomorrow, 7/19, feel free to log them! #126 runner. 6th Longest personal streak grows to 4 days at 3.21 miles/day. 3rd Longest personal run. #10 ultramarathoner. #21 runner. 3rd Longest personal run of this race this month. EZ early RW workout in 68° and very humid air. Not my favorite weather at all, but it was good to get it done. #5 ultramarathoner. #14 runner. 10th Longest personal run of this race this month. Extends streak to 6 days. #12 ultramarathoner. #39 runner. 4th Longest personal run of this race this month. #36 ultramarathoner. #63 runner. 2nd Longest personal run of this race this month. #29 ultramarathoner. #115 runner. Extends streak to 24 days. #66 ultramarathoner. #120 runner. Extends streak to 4 days. 10th Longest personal run. How come you're there in summer, not winter? #18 ultramarathoner. #113 runner. 6th Longest personal run of this race this month. Cadillac Mountain Summit path then to BH for Compass Harbor Trail! #13 ultramarathoner. #38 runner. Longest personal streak grows to 309 days at 3.29 miles/day. Hey, did you happen to download the iPhone app to take the virtual tour of Compas Harbor? @AOMM I had read the article about it and looked for it but I have an Android - hopefully they make the app for that as well soon - would have loved to have it as I wandered around the remains of the estate! #4 ultramarathoner. #22 runner. 8th Longest personal run of this race this month. Longest personal streak grows to 206 days at 5.24 miles/day. You can keep logging miles until 11:59 p.m. tomorrow, 7/19. Then new race begins 7/20 - hope to see you virtually! South Freeport to Brunswick - early start, early finish to beat the storms predicted! #30 ultramarathoner. #119 runner. 7th Longest personal run of this race this month. It is so foggy down here..not as much rain as we had hoped but the night is young. Glad you missed the storm! #45 ultramarathoner. #116 runner. Back after 14 days. Had to cut it short Thunderstorm! #11 ultramarathoner. #18 runner. 5th Longest personal run of this race this month. Extends streak to 9 days. #126 runner. 4th Longest personal run of this race this month. #9 ultramarathoner. #41 runner. 6th Longest personal run of this race this month. 3rd Longest personal streak grows to 8 days at 7.94 miles/day. #29 ultramarathoner. #115 runner. Extends streak to 23 days. Agree! The humidity was killing me today! Gross sums it up. The window screens were streaming water. #5 ultramarathoner. #14 runner. 6th Longest personal run of this race this month. Extends streak to 5 days. That's a great racewalking pace for anyone! My shins hurt to think about it..
@FL2ME Shins only hurt when beginning racewalking because they are under-used muscles. It passes. @coastwalker, intellectually I know that and when I was trying to racewalk with a very powerful friend, I had beautiful cuts in my shins from using those muscles. I think because I never learned the proper form, I just gave it up as being much harder than running. Or, let's be honest..jogging! #8 ultramarathoner. #11 runner. 3rd Longest personal run of this race this month. Longest personal streak grows to 699 days at 5.71 miles/day. #126 runner. 10th Longest personal run of this race this month. #66 ultramarathoner. #120 runner. 4th Longest personal run. 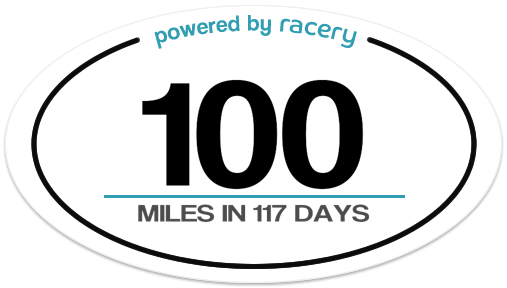 Ran 100.0 miles (+1 mile) in 117 days a PR. I hope you aren't baking! Breeze on the beach helps but it's still Florida hot! #27 ultramarathoner. #77 runner. 7th Longest personal run of this race this month. Extends streak to 14 days. Hot in the valley so we went over the mountain to the coast where it was foggy and windy and required a heavy fleece! Early morning long walk on the beach. Life is good. #12 ultramarathoner. #39 runner. Longest personal run of this race this month. Extends streak to 4 days. #23 ultramarathoner. #47 runner. 2nd Longest personal run of this race this month. #13 ultramarathoner. #38 runner. 6th Longest personal run of this race this month. Shore Path and around Bar Harbor! #13 ultramarathoner. #38 runner. Longest personal streak grows to 308 days at 3.28 miles/day. #10 ultramarathoner. #21 runner. 8th Longest personal run of this race this month. Scrambling around down in the big wash behind our neighborhood. No big floods yet from all the rain. Saw some footage of flash floods in Utah last night, washing out roads. Be safe! @AOMM yes, I wouldn't have gone down in the wash if it had rained recently. It stopped midmorning yesterday so... but yeah that wash is pretty big! We drive the Jeep in there sometimes. #9 ultramarathoner. #41 runner. 4th Longest personal streak grows to 7 days at 8.19 miles/day. Ran 100.0 miles (+0.7 miles) in 13 days a PR. Congratulations on the 100-mile distance! Quick early RW workout - except for when I had to stop and wait for 2 adult wild turkeys and about 12 young 'uns to cross the road. 64° and lots 'o fog this morning - refreshing. #5 ultramarathoner. #14 runner. 8th Longest personal run of this race this month. Extends streak to 4 days. I love when turkeys get in the way. I once did a 10 miler that went around the Crane Mansion in Ipswich and there were turkeys in the course. Oregon has Dusky Canadian Geese that move for no one, and the occasional nutria (like giant rats) that will chase you, which does improve your time. #1 ultramarathoner. #3 runner. 3rd Longest personal run of this race this month. #11 ultramarathoner. #18 runner. 6th Longest personal run of this race this month. Extends streak to 8 days. #8 ultramarathoner. #11 runner. Longest personal streak grows to 698 days at 5.71 miles/day. #6 ultramarathoner. #16 runner. 2nd Longest personal run of this race this month. Extends streak to 68 days. Actually, extended until 11:59 p.m. tomorrow, 7/19. New race begins 7/20. Hope to see you virtually! #4 ultramarathoner. #22 runner. Longest personal streak grows to 205 days at 5.24 miles/day. #29 ultramarathoner. #115 runner. 9th Longest personal run of this race this month. Extends streak to 22 days. Greeley Ponds Trail in NH with view just before the trail head. #24 ultramarathoner. #68 runner. 3rd Longest personal run of this race this month. Extends streak to 5 days. Love your picture! I miss the lush green! @MainegirlinAZ Thanks! I do like the greenery. The desert, of course, has its own beauty. Can't wait to go back to Death Valley, for example. #68 ultramarathoner. #120 runner. 2nd Longest personal run. Great report @Grin Lot of miles for super cause and you got the main man back in the picture! Does biking count? Did Pleasant Hill near Scarborough to Freeport. #30 ultramarathoner. #119 runner. Longest personal streak grows to 5 days at 13.91 miles/day. Longest personal run. Ran 26.2 miles (+11.2 miles) in 2 days a PR. Ran 100.0 miles (+1.6 miles) in 9 days a PR. Anything goes in the virtual race! @AOMM that's not really in line with the answer you gave me back in the beginning. @lishie - if you'd like to add your biking miles, you have time to backdate to Aug. 15, 2017, and you have until 11:59 p.m. this Thursday to do so. Remember to enter one day's miles at a time, if you want to see a different Google photo pop up each time. It's an ever-evolving virtual race, and rules are flexible, all in the name of fun. Thanks for being part of the race! @Lishie - not sure if above answer went through, so here it is again: if you'd like to add your biking miles, you have time to backdate to Aug. 15, 2017, and you have until 11:59 p.m. this Thursday to do so. Remember to enter one day's miles at a time, if you want to see a different Google photo pop up each time. It's an ever-evolving virtual race, and rules are flexible, all in the name of fun. Thanks for being part of the race! Yes, it counts @RangerMo used to count biking and she's a ranger! For the record, I am so envious reading about you trekkers putting in miles at the Park! Wish I were there. Hiked Beech Mtn trail with a friend. Love the view from the Fire Tower! #34 ultramarathoner. #55 runner. 5th Longest personal run of this race this month. Yes, that is great view! Hike around Little Long Pond! #13 ultramarathoner. #38 runner. 6th Longest personal run of this race this month. Longest personal streak grows to 307 days at 3.28 miles/day. #4 ultramarathoner. #22 runner. Longest personal streak grows to 204 days at 5.26 miles/day. #18 ultramarathoner. #113 runner. 9th Longest personal run. This race ended 07/19/18 - check out the final activity here. Don't know how @LibertyPenguin found the link to the new Acadia to Katahdin Virtual Race, but he's already in! 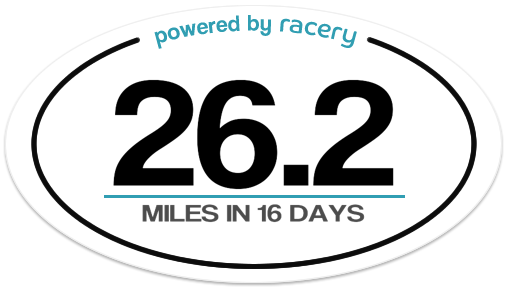 Here's the link for registration, which you can do now, even though new race doesn't begin until Friday, after this one ends: https://racery.com/r/acadia... Will also be writing up a blog post about this newest race and sharing it here and on Facebook. Thanks for those who've participated in this virtual race, and hope to see you in the next one! Reminder to everyone that tomorrw, 7/19, at 11:59 p.m. EST, is the last time to enter miles. You can backdate to Aug. 15, 2017, and best to enter each day's mileage one by one if you want to see your avatar move along the map, and get a Google photo for each stopping point. Putting finishing touches on the new race that begins 7/20, and will be sharing info here and elsewhere soon. Thanks for being part of this community! oops, pardon typo - tomorrow!! Wonderful! I can’t wait for the new adventure. Thank you for hosting this awesome community - this has been so much fun! This has been a great trek and I feel connected to all the participants however far we are. Looking forward to a fresh start and new path. Anyone here running the Downeast Sunrise Trail Relay? Am including part of the sunrise trail on the new virtual race, which we hope to launch by the time that starts on July 20. Will keep you posted! Thanks to @Lishie for keeping us on our toes - yes, this is extended through at least July 16. Thanks for your patience as I get the new race together! All right everyone, this race has been extended until at least July 16, as I finish putting together the new route for the next race. Stay tuned! Congratulations to @Bradcrazy and @DreadedRunner for their top 5 finishes in the Acadia Half Marathon, and to @Christa for volunteering! Read all about it here: https://www.mdislander.com/... (Pardon if I missed any other virtual racer who ran or volunteered in the race. I think @Muddah ran it too - CAW! My team for the Downeast Sunrise Trail Relay is looking for more members. Team is various ages and abilities. Just looking for a fun time, not really competitive. July 20-21. If you are interested let me know. Can I share this on the Facebook group page? Such a fun race! See you out there! I no longer receive emails from racery each night?? Hmm, @Grin - is there a change in your email spam filter? If you use gmail, go to the "All mail" tab in the left hand menu, and use the dropdown to show all labels. Click on that to see if you see racery e-mails in there. If that doesn't work or you use a different e-mail than gmail, I can e-mail racery to have it looked at. You have a choice of which e-mails you get: By default, everyone gets e-mails for Likes, but you can opt out of those e-mails and only get the ones where you are tagged in a comment. You can make those changes at the bottom of the next e-mail you get. Maybe by my tagging you here, you'll get this in an e-mail? @AOMM I get all emails from them except the one around 5pm each day asking you to post that day's activity....so I just go in through another email from them. Good, sounds like you're able to access. Funny thing, I don't think I ever got the emails every night reminding me to post activity. Maybe that went to spam? The first round of medals is in the mail, as announced on the Facebook group page: https://www.facebook.com/gr... The announcement lists who's getting the medals, and rounds up the achievements of Boston marathoners who are also virtual racers, as well as those of all of us collectively. Believe it or not, we as a group have logged more than 50,000 miles since Aug. 15. Anyone in the race who wants to add on a buffalo-plaid beribboned medal, not too late to do so. Will be posting some more about this race as we race to the finish on June 30. @FL2ME - wear it with pride and in good health! Sorry I've been missing in action the last week or so, everyone, as I got through tax deadline(s) in the business I'm in. Will be catching up with messages, social media posts and mailing of medals. And Yahoo! to @Bradcrazy @DreadedRunner and @RosaPup for the amazing real-life Boston Marathon race they ran, in difficult conditions. And a shout-out to volunteers and spectators at the marathon from this virtual race, @Lishie @Coastwalker @TomZot - and pardon me if I'm missing anyone. 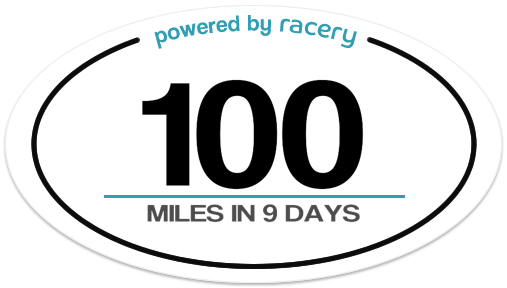 And by the way - if you look at the "About + Join" tab, you will see that cumulatively, we virtual racers have logged more than 50,000 miles since mid-August. Yowza! Apologies if this has already been asked...any thought on starting a Strava club? Sorry I've been out of the loop, and stopped logging miles, with the tax deadline(s) - starting to catch up with messages, social media posts and mailing of medals (going out this weekend, everyone!). Don't know much about Strava, but have enjoyed the routes you've shared, @TomZot . If you start a club up, would be happy to share info about it. @AOMM I started it. I marked it as "invite only" to keep spam, etc. to a minimum. It's not to be exclusive...if that turns out to be a problem we can open it up. If people search for it in Strava clubs they should find it. It's called "Cadillac to Katahdin: Maine Sea to Summit." as far as I know, folks just need to look for it and we can add them. @AOMM On second thought I opened it up. Anyone who searches for it should find it. Nice to see 3 already in it! Just created a Strava account and joined the club, but not sure how active will be on that platform, as there are so many channels, so little time. But will be fun to keep track of others in the club. One of these days, we will all have to meet - either at MDI or Millinocket? Thanks for expanding the reach of Cadillac to Katahdin @TomZot ! OK, everyone, as April 10 marked the original "end" of this phase of the race, will be sending out the buffalo plaid beribboned medals (and also Acadia Centnennial Medallions for those who ordered them) this week. I've already tagged everyone I have on the list as having ordered the buffalo plaid beribboned medals, and if you still want in, just tag me in the message board and I can privately let you know the details. Here's who I had on my list as having ordered: @Mamaof7Dogs @Joelle @Keefa @JillMarie63 @KDW @EclecticKim @Shellperry @FL2ME @Lishie @Coastwalker @Pecatonicagirl @SlowCrawl @bgizzi @Grin @GO4Acadia @RangerMo @LibertyPenguin @KDawg If I'm missing anyone, let me know. This race keeps running until June 30. Then a new race, medal and fundraising will be announced for July 1 start. Thanks for being part of the fun everyone!! I should know by tomorrow evening if I'm going on Monday. @aomm no I did not see the boulder. It is amazing. Hope they leave it there. Just put this message up, along with couple of better photos, on the Facebook group page: https://www.facebook.com/gr... Couple of better photos for printout, for anyone who wants to self-identify as #hipster or #lumberjack, to find a fellow virtual racer at a real-life race. Print out the version that suits you, put your Racery name next to the @ symbol, and pin it to your race jersey, front or back (or front and back, if you like). Alternatively: You see anyone wearing Crow Athletics gear at the next race, you sidle up to them and say: #hipster or #lumberjack? If they answer one way or the other, you've found a fellow Cadillac to Katahdin Virtual Runner! If they say "Huh?" you either enlighten them, or run the other way. Sparked by knowing that @LibertyPenguin and @KDW, who've never met in real life, are both training for the Maine Coast Half Marathon, and may find themselves using one of the above self-identifying methods. And if anyone is running at Bridge the Gap, @KDW will be there. Anyone virtual runner who meets another, take a selfie and share! I'll be wearing a Porcupine Athletic Club shirt with the name "The Wombat" on the back. @LibertyPenguin I'll be wearing a Crow Athletics yellow shirt! Great idea - see anyone with Crow gear at a race, ask them if they're #lumberjack or #hipster - that's the secret code for finding another virtual runner! Fixing name of real-life race above, thanks to @Lishie for bringing typo to my attention: Maine Coast Half Marathon. Just featured @RangerMo in a "Where in Acadia?" post on the Facebook group page: https://www.facebook.com/gr... Congratulations on completing the 2nd circuit! Just featured a Google photo from @JohnT 's journey, for "Where in Millinocket?" in the Facebook group page: https://www.facebook.com/gr... @mak321 you should know the answer! Is there a mileage equation for shoveling?? Still digging out on MDI. How much snow on MDI? Hey everyone, while the race is extended until June 30, some of you may be curious to know whether you will have made 200 miles in the first 100 days of 2018. In order to calculate that, all you have to do is see what your current ending mileage is - click on the red balloon icon in the upper right hand corner of your latest entry - and then subtract what your ending mileage was on the last entry you made in 2017, to see how far you've gone. April 10 marks the 100th day of 2018, or 38 days from today. @AOMM -I still can't find the link but I am in and definitely want to donate! Wonder if I have the e-mail wrong? You can e-mail me at acadiaonmymind@gmail.com, and I can forward it along. Or might the e-mail be going to spam? Think it gets generated from Paypal. Can e-mail it directly, just let me know where to send it. I just saw this! So the finish line is not April 10?? @RangerMo - Racery just extended it to June 30, so more time to log miles! Just featured @MDI-Marathon - aka Gary Allen - in this latest Facebook group post, with a shout out to @Joelle : https://www.facebook.com/gr... Great to see virtual race helping to raise funds for Down East Family YMCA as well. @Bradcrazy - you have some competition in the treadmill dancing event!